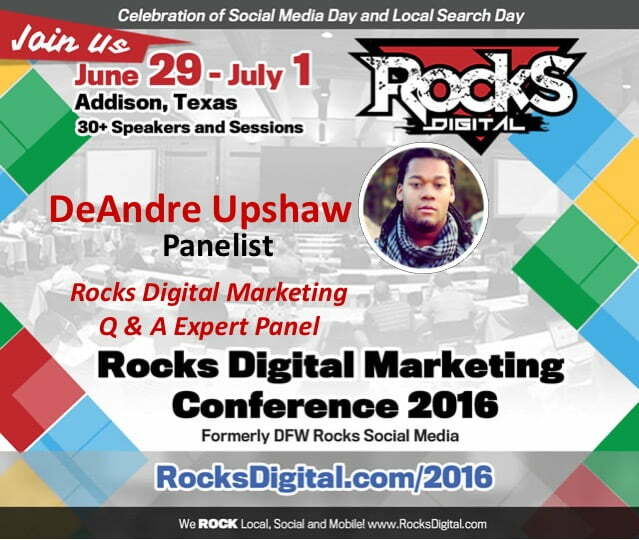 DeAndre Upshaw to Join the Rocks Digital Marketing Q&A Panel! DeAndre Upshaw is an award-winning digital marketing strategist and cinematographer, who grew up forcing family and friends to perform in short films he wrote, directed and produced. They weren’t very good, but will one day serve as the backdrop to his E! True Hollywood Story. DeAndre has worked with more than 600 brands (yes, really!) 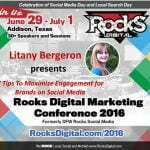 to help them enhance their social media presence, across a variety of social channels, increasing not only their fans and audience, but a return on investment for their social media efforts. He hopes to be a Power Ranger when he grows up. DeAndre currently services as Digital Media Manager at Standing Dog Interactive. 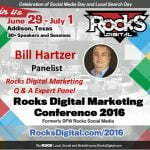 Get to know what @DeAndreSays about #digitalmarketing at #RocksDigital 2016!